The world's most successful suit - now with exclusive colour combinations to ensure you stand out on the blocks. Worn by gold medal winners, record breakers and the world's leading swimmers, the LZR Racer Elite is the world's most successful racing suit. Speedo have taken this winning formula and built upon it, upgrading the LZR Racer Elite to create an even more technologically advanced suit. Worn by gold medal winners, record breakers and the world's leading swimmers, the LZR Racer Elite is the world's most successful racing suit. Speedo have taken this winning formula and built upon it, upgrading the LZR Racer Elite to create an even more technologically advanced suit. With lightweight, four-way stretch fabric, its second-skin fit feels almost tailored to your body shape. Delivering full body compression to optimise your racing form, the LZR Racer Elite 2 boasts newly improved LZR Pulse+ Fabric technology, increasing the durability and water repellency by 40%! 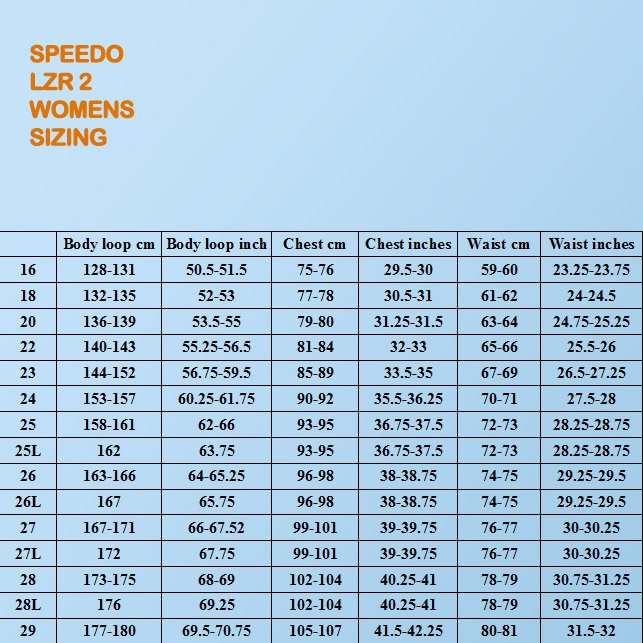 Features Speedo's legendary full body compression, engineering the body into a streamlined, hydrodynamic shape. Speedo's ultra lightweight LZR Pulse+ Fabric helps compress the body minimising the muscle oscillation and skin vibration to create the most efficient racing form. Upgraded for the LZR Racer Elite 2, it now offers significantly more durable water repellency - 40% greater than its predecessor! Silicone Leg Grippers. For total confidence in your suit, silicone leg grippers eliminate concerns about movement and fit, allowing your to concentrate on your winning performance. Comfort Straps: Softer wider, anti-chafe straps give more comfort on the shoulders.